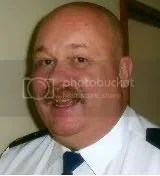 Devizes, Wiltshire | Words, By George! 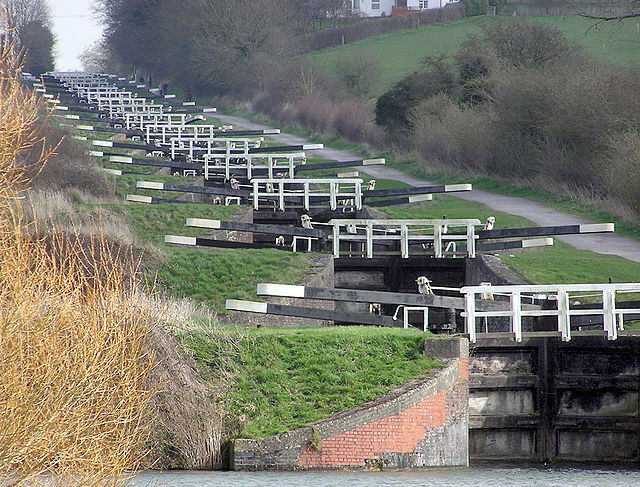 There are 29 locks between Rowde and Devizes in Wiltshire, which lift the canal up 72 metres over 3.2km. This is a photo of the main 16 which climb up (or down) Caen Hill. You can clearly see the lock system climbing up the rise. Boaters state that it can take over 6 hours to climb (or descend) the entire system. 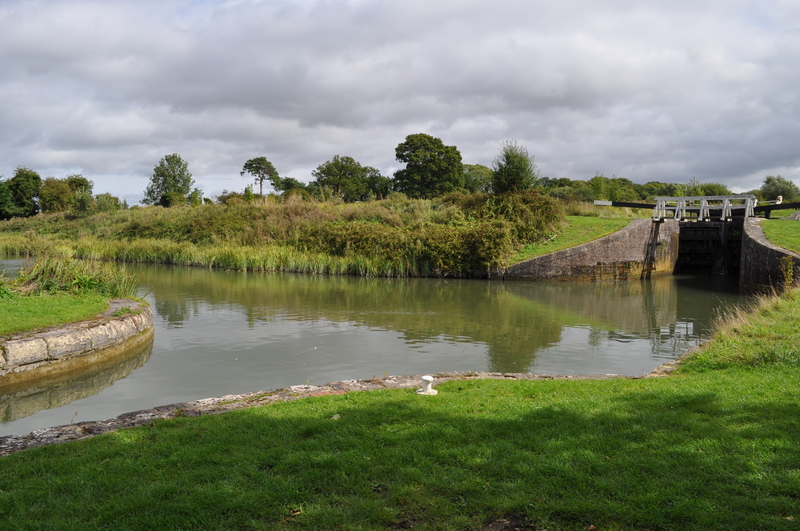 There is a pound (pond) between each lock to ensure that there is enough water to operate the locks. 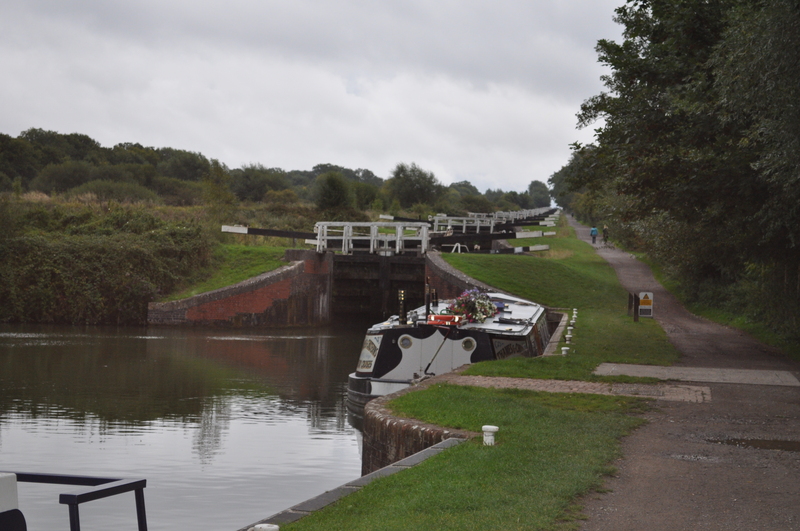 As all water in lock systems flows downhill (even if the narrowboat is climbing the locks) the water is collected at the bottom of the flight and pumped back to the top. Here is an alternate view of the flight. Inter-lock pounds used to ensure locks have enough water to operate.